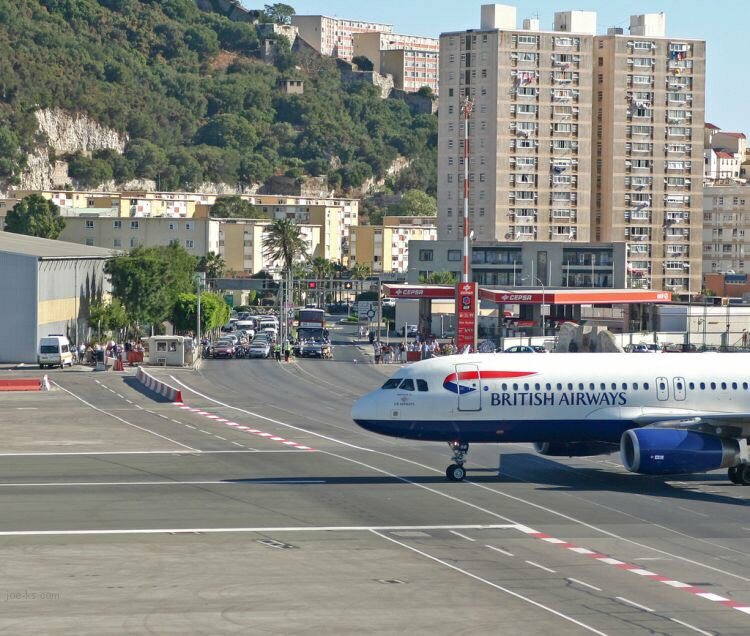 Gibraltar Has One Of The Strangest Airports… You Have To Cross The Runway To Get From One Side Of The Island To The Other. 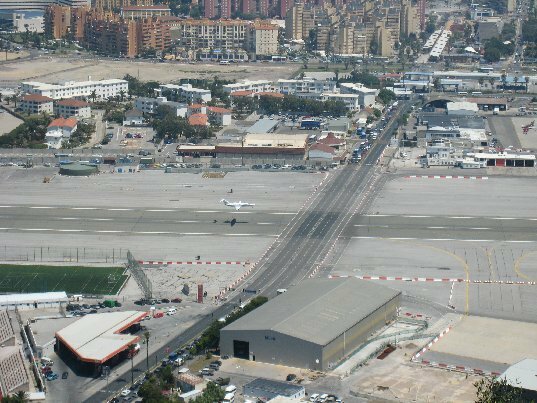 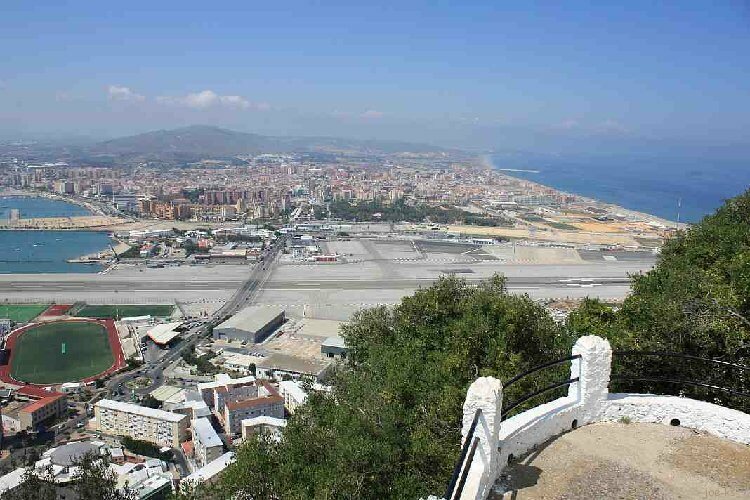 Gibraltar's Airport Runway Is Intersected By A Main Road. 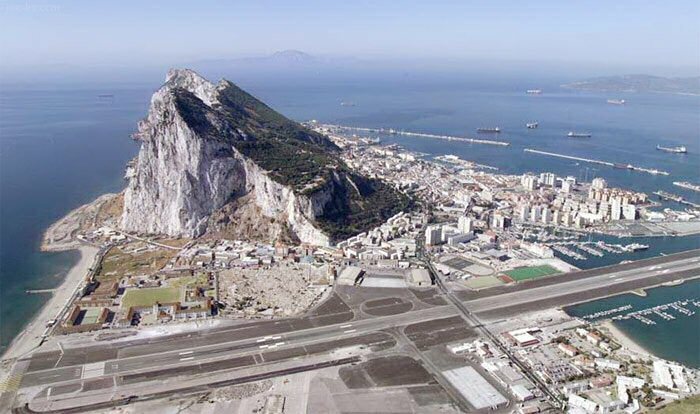 Looks Like The Road Is A Main Drag Across The Island. 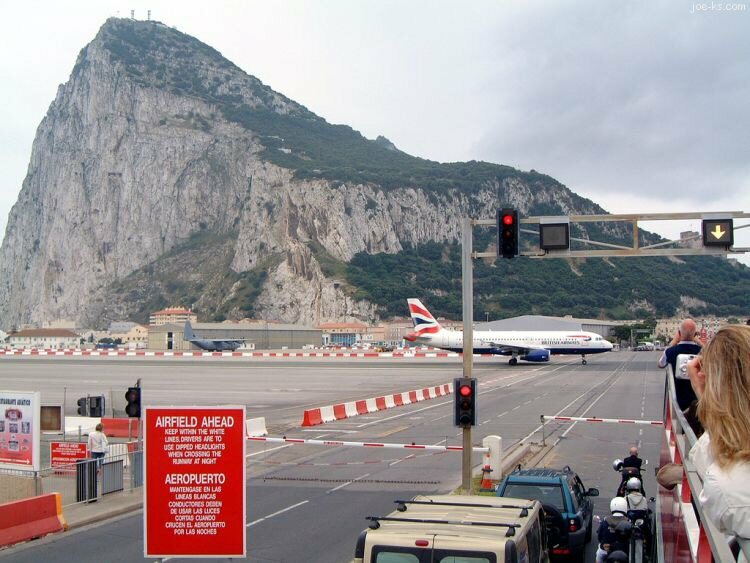 A Red Light You Don't Want To Run. 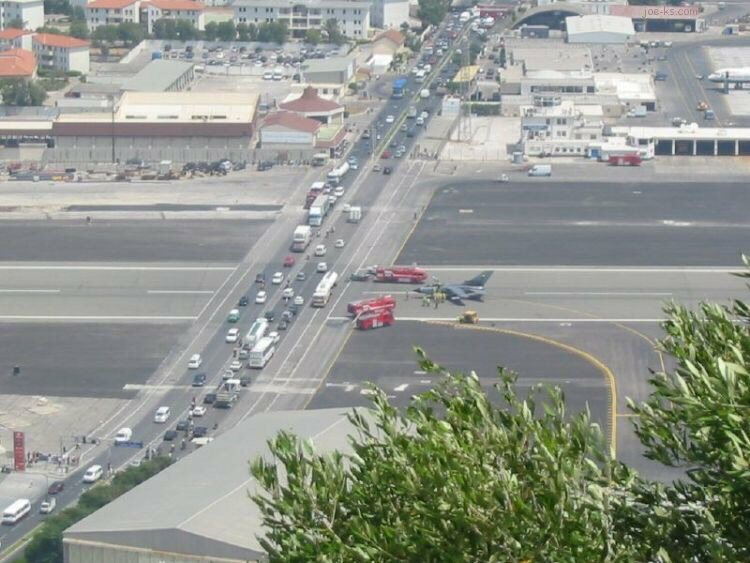 Traffic Jam Due To A 737 Crossing The Road. 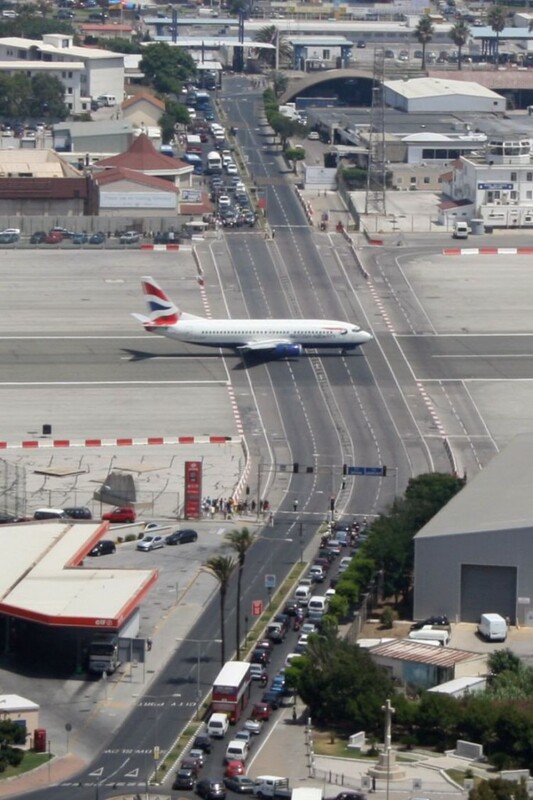 This Road Seriously Cuts Acroos The Runway!